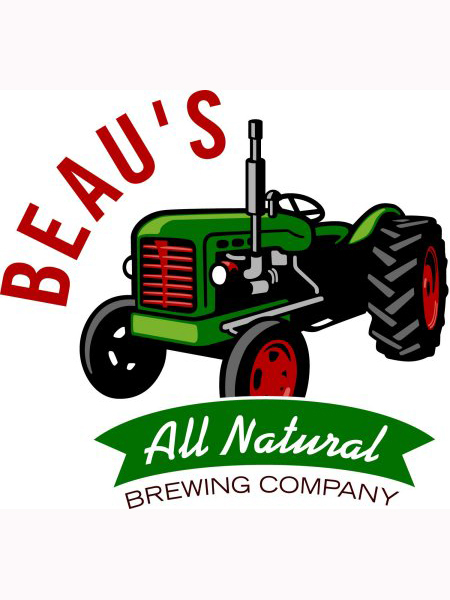 Beau’s All Natural Brewing is changing up their seasonal offering starting today, just as summer is about to begin. Festivale Altbier is now available at select LCBO locations throughout Ontario — it can also be purchased through BYBO home delivery service in Ottawa, and at the brewery retail store in Vankleek Hill. Festivale, a 4.7% amber-hued summer ale, is sold through the LCBO in single-serve 600 ml bottles for $4.35. Craft beer drinkers will find Festivale refreshing in more ways than one: it will certainly quench a summer’s thirst, but also it bucks the trend of light, fruity summer beers, instead offering up rich amber hues and assertive malt & hop flavours. Festivale, an Altbier, is something of a cousin beer to Lug Tread, as both styles originate from the northern part of the Rhineland in Germany. The amber ale has a rich caramel maltiness that is kept in balance by a firm hop presence, and pairs well with fare such as nutty cheeses and grilled pork tenderloin. The perfectly-suited summer ale won Gold in 2009 at the Mondiale de la Biere in Strasbourg, France. Beau’s will celebrate the launch of the new seasonal with a Patio Party at the Brewery, Saturday May 19. On hand to help will be Ottawa publicans The Arrow and Loon, who will be selling meals and snacks to visitors that afternoon. The brewery will be open for free tours and tastings, and for those looking to make a day of it, the Vankleek Hill May Show (an arts festival) is also taking place on Main Street in town. That evening at the Windsor in Vankleek Hill, the brewery will host its second-ever “steak dinner and music night,” featuring Ottawa’s own Chris Rayburn opening for American alt-country duo Cory Branan & Jon Snodgrass, with a roundtrip bus running from Ottawa to Vankleek Hill. The $35 bus ticket includes a Kölsch glass of Beer (keep the glass!) & Brewery Tour at Beau's Brewery, Steak Dinner (with all the fixin’s) at the Windsor Tavern, Admission to the Cory Branan + Jon Snodgrass/Chris Rayburn show at the Windsor Tavern, and Return bus transportation from Ottawa to Vankleek Hill. Bus tickets can be purchased by calling the brewery or via the Beau’s online store accessed through the website: www.beaus.ca. Limited tickets ($5) will also be available to locals at the door. Festivale will be available at select LCBOs and at the brewery in 600 ml bottles; 1.89L jugs will be available at the brewery and through the BYBO home delivery service: www.bybo.ca. Festivale will also be served on tap at a number of restaurants and pubs across Ontario, for details visit the Beau’s website.